What is the role of design in value creation? How do you ensure sustained value creation for all stakeholders? How do you improve your competitive advantage? These were the questions that 5th annual SID seminar wanted to tackle. Seminar concentrated this year especially to continuous value creation for the customer. First keynote speakers Nicholas Ind and Nick Coates tackled these questions right away by presenting how brands can be built together. They focused on the interesting area of communities in co-creation. They gave interesting insights on how people want to belong and be involved, but on the other hand the difficulty of engaging them when the service is launched. People are enthusiastic when they can influence to development but unhappy when they will not get gratitude or not being informed of the end process and launch. This is surely one of the challenges of co-creation; how to gain useful information and keep the process focused and simple while keeping all the participants, including the co-creators, happy. After keynote speakers the day continued in workshops. 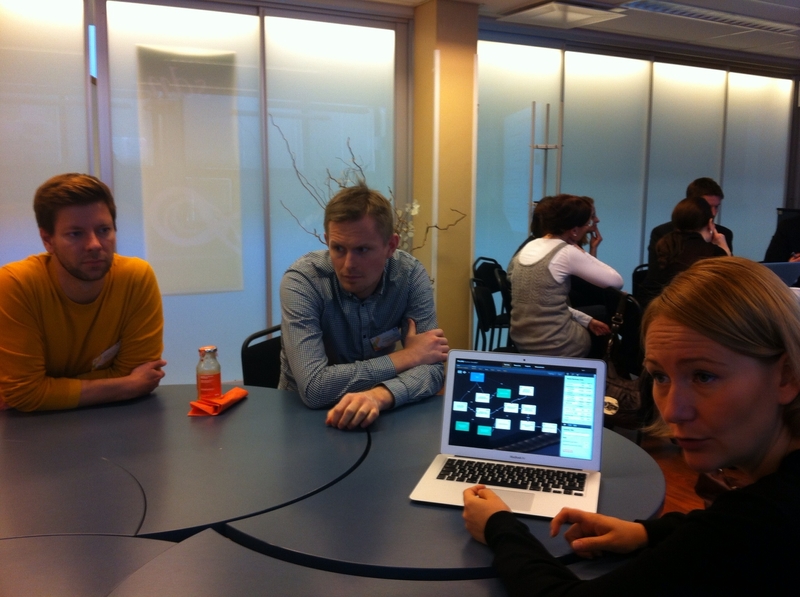 I participated into design agency Palmu’s workshop, which was a Service Business Case simulation. The workshop was about a new and agile way to find the success paths and processes of a service together with on the fly business case calculation combined with recommendation index. Basically the workshop was a case group work where we tried to find cost effective solutions to “virtual” adsl provider to cut down their maintenance costs. We were able to “test” our ideas with Palmu’s simulation solution that calculated the assumed savings immediately. This was a very interesting approach to service design. It is many times difficult to assume the impacts to company’s revenue performance when service processes are re-designed. Especially in the studying environment when you don’t really know the company’s revenue structures. As a learning point of view, this workshop was very interesting, practical and gave a long waited “hard money” perspective.